The Tricolored Blackbird has one of the most restricted ranges of any North American bird, with 95% of it’s breeding population in the Sacramento and San Juaquin Valleys of California. Only a few scattered breeding sites exist outside the Central Valley in Southern California and southern Oregon, and single sites in Washington, Nevada, and extreme northwestern Baja California. Like other blackbirds, it is a highly gregarious species, forming massive breeding colonies (up to 200,000 nests reported in one colony) and huge winter roosts that spread out to forage over a large area by day. This Red Watch List species has declined precipitously in recent decades, due primarily to a shift in nesting behavior that has put the species in direct conflict with current farming practices. 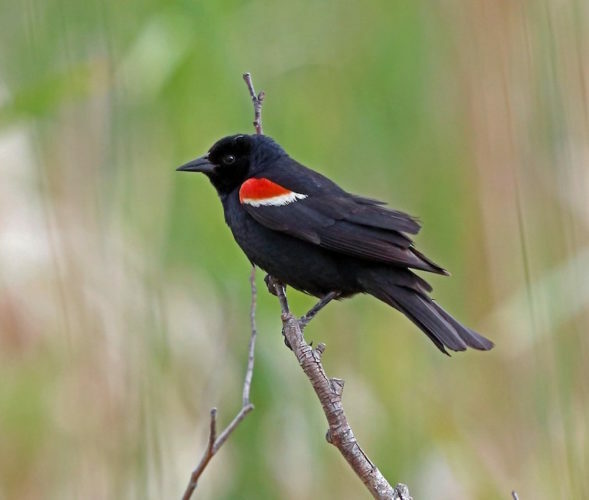 Historically, Tricolored Blackbirds nested throughout the Central Valley in freshwater marshes dominated by cattails and bulrushes, and in adjacent riparian willows. 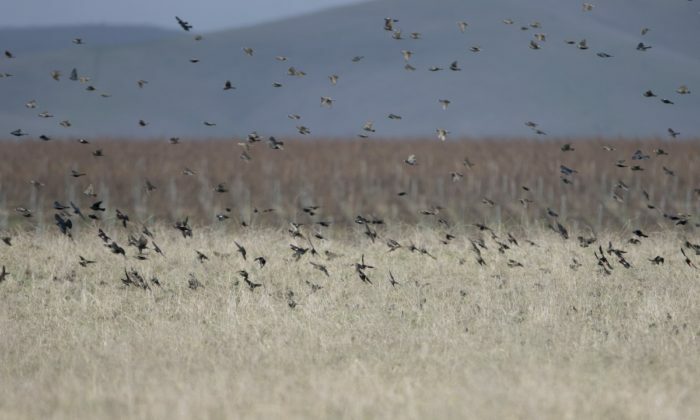 With loss of wetlands, more and more colonies shifted to agricultural fields, and this trend has been exacerbated recently by the long-term drought in California. Many recent colonies are associated with dairy farms and feedlots, and especially fields of triticale—a hybrid wheat-rye grain grown as forage for cows. 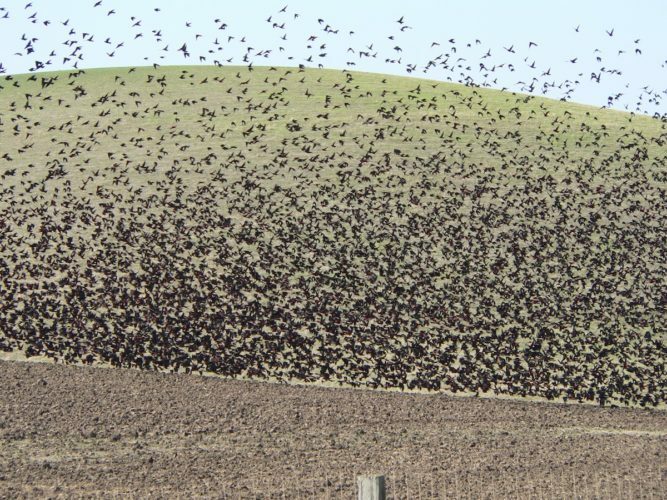 These colonies are highly vulnerable, as fields may be harvested while young blackbirds are still in the nests, resulting in nearly total reproductive failure. A partnership of federal, state, and private landowners is working on solutions, including incentives for farmers to delay harvest, in an effort to keep this species from becoming endangered. *** indicates insufficient or unreliable data to calculate a half-life estimate. The Bureau of Land Management designates the Tricolored Blackbird a Sensitive Species (BLM 2003). Shuford and Gardali (editors) 2008. California Bird Species of Special Concern: A ranked assessment of species, subspecies, and distinct population of birds of immediate conservation concern in California.